This unique and useful resource is designed to support schools, educators, community members who work in schools with students with FASD and complex trauma. The resource was written for educators and communities in Western Australia but it translates well to the Canadian context. This resource is divided into three sections - understanding trauma, information about FASD, and taking action. 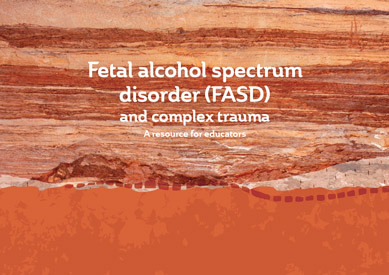 This guide updates an earlier 2014 publication entitled Understanding and addressing the needs of children and young people living with FASD: A resource for teachers. Please note: this resource refers to "secondary challenges"; POPFASD has chosen to use the term "impacts" instead of "secondary challenges" based on The CANFASD's Common Messaging Guide.